Linking up with Andrea, Erika and Narci for Friday Favourites, as usual. 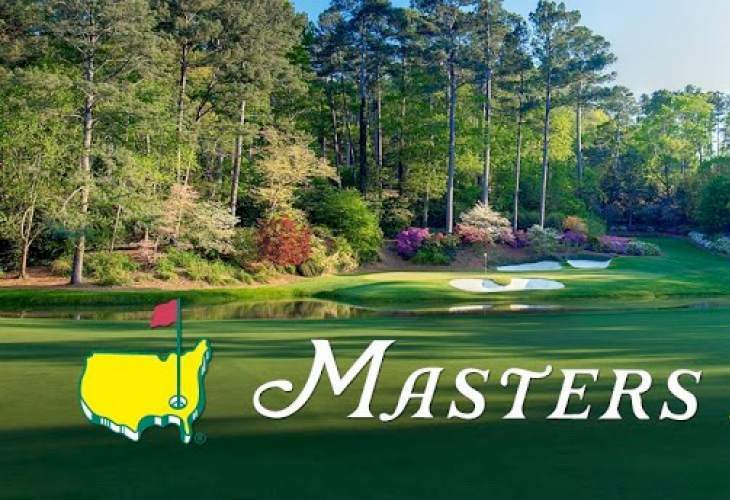 It's Masters weekend! We love golf around here. I remember I used to be bored watching so much golf with my family when I was growing up, but now I love it. There are so many good people to watch, but our favourites are Rory, Rickie, Bubba, Adam Scott, Jason Day, and I always like to see Phil in the hunt. It's too bad that Dustin Johnson can't play this week; I don't love him, but he is number 1 in the world so it's disappointing to see him out of the tournament. Q had his first swimming lesson this week. I of course use the term "lesson" loosely since he doesn't really know what he's doing, but he enjoyed himself and the whole ideas is really just to get him familiar with the water. We enjoyed one of our favourite meals this week. I shared the recipe at the end of this post last year. Corn and cheese pancakes topped with lots of yummy things like avocado, bacon, and tomatoes. I have a new favourite Instagram account - it's @living_europe. It has the most beautiful shots of European cities and my travel bug is flaring up again. I try not to just like every one of their posts, but I can't help it! They are all beautiful and I want to visit them all. Yesterday I posted about our Easter decorations. The placement of the Easter tree on the floor by the TV may prove to be a mistake. Although Q can't move well enough to get at it yet, and E has been warned not to touch it, but Dave (!) has been poking around by the TV with a new cable so it may have to be moved. This wekend is the 100th anniversary of the Battle of Vimy Ridge. You can read about it here. 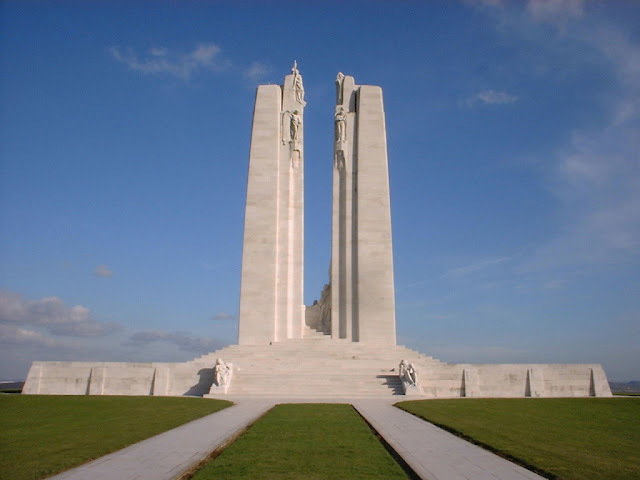 I have always enjoyed war history, and Vimy Ridge is of particular importance because arguably it was the birth of the nation of Canada. Although Canada as it's own country was fifty years prior, it didn't really come into its own until this battle and World War I. Our Prime Minister and many other Canadians will be in France this weekend to celebrate this anniversary. I finished the S-Town podcast. I won't talk too much about it here since I don't want to spoil anything for those who still want to listen. I will say that I really enjoyed it. It was not as good as Season 1 of Serial (will anything ever measure up to it? ), but it kept me engaged for all seven episodes and I am still thinking about it. Most of us only get to see a small part of the world, and this podcast showed me what a small town in the Southern US. It helped me understand a bit about how Donald Trump could be elected, how people think, what their priorities are, etc. It also introduced me to someone who felt like a fictional character from a Faulkner novel, a real life tour de force. There are so many people in this world and we can't possibly know them all, but podcasts like this will give us a small glimpse into others' lives and I think that exposure to people who "aren't like you" is so useful. When people are sequestered in their own world, it's hard for them to empathize with others and then we see tensions spring up. If you haven't listened yet, I think it is worth listening to.